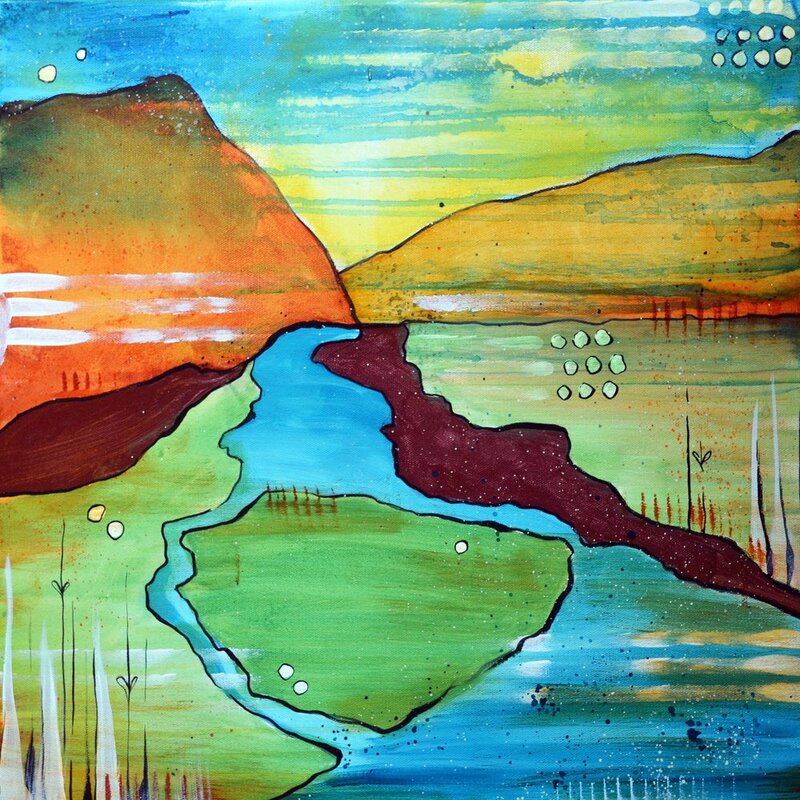 In the summer of 2018, Sarah produced a series of paintings depicting rivers and waterways in the Eastern Oregon region. 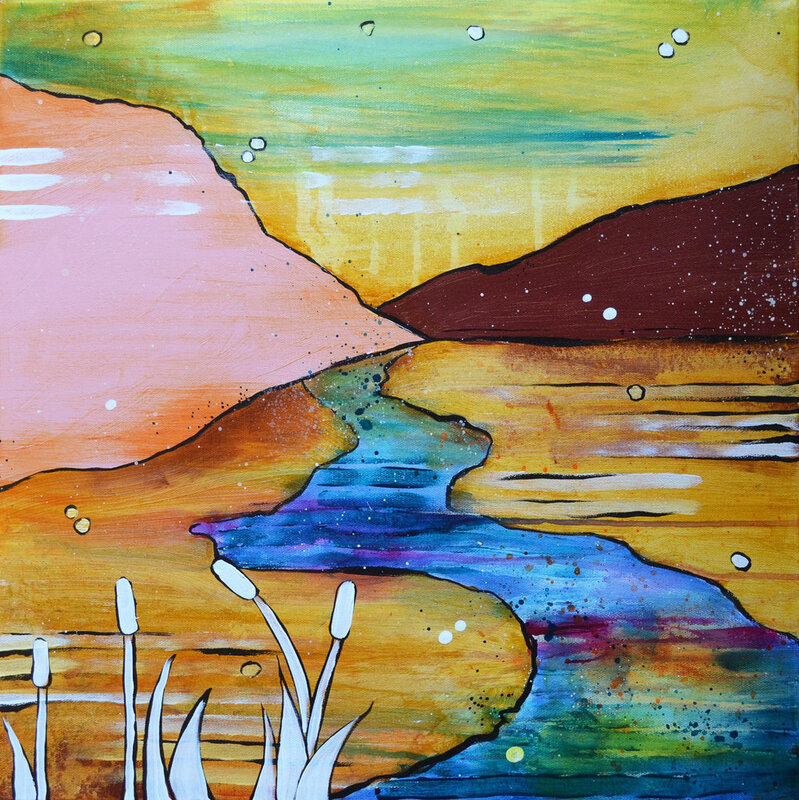 The series was inspired by the 50th anniversary of the Wild & Scenic Rivers Act. The pieces were displayed as a group at the Baker City, OR branch of U.S. Bank from June 1 - January 1, 2019. The pieces were then reimagined for Sarah’s February 2019 Solo Exhibit at Royal Artisan Gallery. 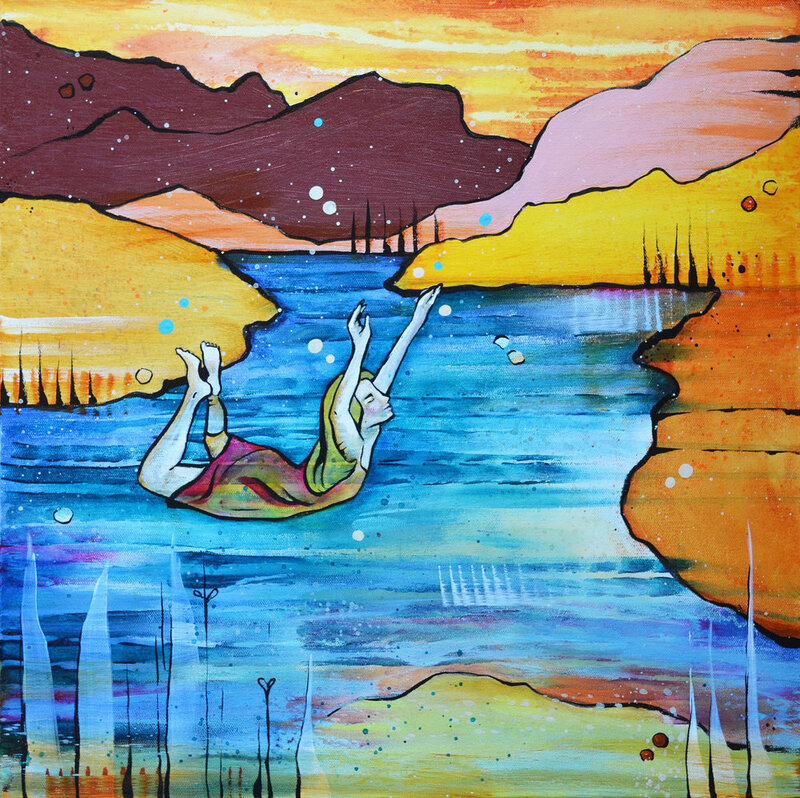 What began as graphic art-style landscapes became playgrounds for Sarah’s Snake River women - characters in contemplative motion, exploring the mythic Eastern Oregon terrain.